When both relaxing or perming and colouring Black hair, the Number One Hair Care Rule is; you must never perm a colour, you always colour a perm. What this simply means is that you must always do your colour after your perm. If it's a protein colour, also known as colour glazes, your best to do it the same day as your perm, when the cuticle layers of your hair are more open from the perming process. This way the colour will penetrate deeper into the hair shaft. This is both better for the conditioning benefit as well as making the colour last longer. If it's a semi or demi-permanent colour, they also may be done the same day, depending on the condition of your hair or hair type. However, for all permanent colour we recommend that you book your appointment no more than 3 - 7 days after your perm. This is the best possible timing for colouring relaxed or permed hair. If you wait longer than 7 days, the process of combining these two services becomes much more problematic. Remember the lighter you colour your hair the dryer your hair becomes, we recommend clip in weave pieces for highlights, since removing too much pigment will weaken and dry the hair. Be aware that when re-perming your hair, different products have very different chemical formulations which may not be compatible with each other. If they are not compatible you could end up seriously damaging your hair and causing severe breakage. 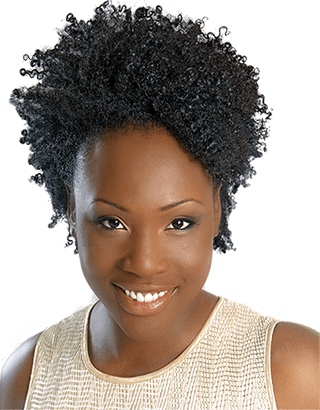 Removing all of your hair's natural curl is alright (usually referred to as "bone straight" or "traditional relaxers"), if the hair is kept short, roller set or wrapped. Heating implements melt the same bonds that the relaxer is removing, these bonds allow the hair to be elastic. We strongly recommend relaxing your hair only up to a maximum of 85%, unless as we said before it's going to be kept short. This will allow some elasticity to remain in your hair. This elasticity is essential for body, bounce and strength. When you take your hair "bone straight", you also take out most of your hair's elasticity. The result is flat, lifeless hair. It is this elasticity that is crucial to hair being able to stretch and not break when you are styling or manipulating it in any way. If you are relaxing your hair at home it's imperative that you make sure to remove all of the relaxer from your hair. This means that to be on the safe side you must thoroughly shampoo your hair 3-4 times. If you run out of the shampoo included in the kit any shampoo will do. It does not have to be a neutralizing shampoo, it's the water that really does the "neutralizing". If you leave a very minute amount of chemical in your hair, residual chemical action will occur. What this means is that those trace amounts of chemical left in your hair will continue to work causing your hair to over-process and then break. We find that this is a very common problem with a good majority of our new clients. Each hair on our head is produced inside its own individual follicle, which is located just beneath the surface of the scalp. This follicle is a complex biosynthesis unit that takes in from the small veins in your scalp amino acids and polypeptides and assembles them into a soft protein. This soft protein is then separated into specialized cells which will eventually make up the fibrils and matrix of the hair's cortex and the scale like cells of its outer cuticle layer. As these parts are assembled and move toward the surface they become hardened or "keratinized" and come out of the opening of the follicle as the dead protein keratin structure we call hair. Afro textured hair as it comes out from the follicle and is keratinized into an irregular elliptical shape in cross sections. Most experts agree this is responsible for the way this type of hair grows into tight coils instead of straight. The rounder the cross section of the hair as it emerges from the follicle, the straighter it grows, with the straightest being Asian type hair. The hair we see is made up of three parts. Part one is the outside or the cuticle layer. This layer resembles fish scales or shingles on a roof. There are as many as 15 or as little as 2 layers on top of each other. The cortex, which makes up the main mass of the hair and is responsible for its elasticity, and strength. It also contains the pigment particles that give hair its colour. It is in this area that any chemicals applied to hair perform most of their transformation action. The cortex is comprised of thousands of fibrils. These fibrils can best be described as rope like, in that each fibril is made of many smaller fibers twisted around one another. Finally, there is the medulla at the center of the hair shaft. This is a hollow area and not everyone's hair has a medulla and it is generally thought of as functionally unimportant. As this hair grows many things are done to the hair, the most common being, cutting. Next to cutting the most frequent choice people make to alter their hair's appearance is chemical services such as colouring or perming. People choose these kinds of services for a vast variety of reasons, the most common being a personal fashion choice. So now we are left to do a relaxing service. The relaxer is most common chemical service done on Black hair. To make the following very easy to understand I will use a 1 - 10 scale, with 1 representing virgin hair that is well looked after and in good condition and 10 representing dry, brittle, severely damaged hair with extreme breakage. When a relaxer is done on virgin hair, the hair can be taken to anywhere from 2 on the scale, to 10 on the scale. This applies for every time you re-relax the hair or do a "touch-up" service in the future. Where you end up - and I can't repeat this enough - is entirely dependent on the skill and experience of the person doing the relaxing service. I've seen instances of where on their very first relaxer, almost always done by a friend or themselves, people have gone straight to 10. A professional hair stylist's job is to use their skill and experience to consistently move you no further along the scale than is absolutely necessary to accomplishing the job. Next, let's talk about exactly how a relaxer works. When applied, the relaxer swells the hair and enters the cortex area causing irreversible changes. Once in the cortex the relaxer's job is to permanently break the cohesive disulfide bonds found there that hold the hair together. As these bonds are progressively broken a loosening of the curl pattern of the hair takes place, until the desired texture is achieved. The further along the scale you move the more bonds are broken. These bonds are directly responsible for the hair's strength. 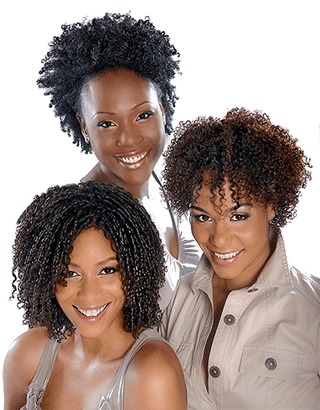 When hair is over processed the relaxer has been allowed to process too long, which breaks too many of the bonds that hold the hair together as a cohesive unit. There then is just nothing left inside to keep the hair together, intact and whole. 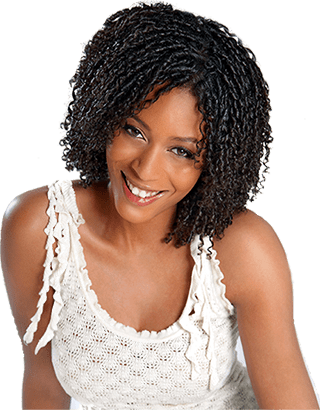 You hair quickly gets pushed into the breakage zone when you add hot curling and blow drying, improper brushing or combing, improper shampooing and conditioning techniques, poor choices in hair care products and colouring relaxed hair with improper procedures.With all of these additions to the hair stress of any kind will cause breakage. This breakage can sometimes be quite severe. Extensions and braids inflict micro nicks and abrasions on the hair . When you relax your hair the relaxer works quicker on those areas or "hot spots" causing an uneven process and usually causing breakage that may not show up until a number of months later. 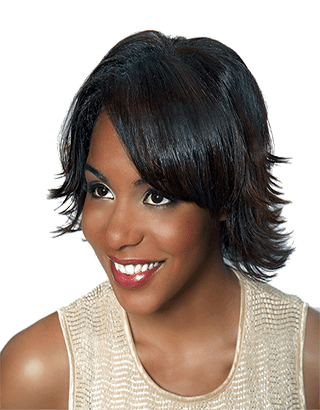 If you must relax the same day you take out your extensions or braids, you must remove all the build-up and apply a protein filler on the hot spots, similar to the filling of one's teeth or nails. This is a method of using a process protector on your hair to fill in those "hot spots" so that you will get a more even process and minimize breakage. A lot of people ask us if we feel it's safe to perm during pregnancy. The answer is yes, if by perm you mean relaxing in any way with any hydroxide based relaxer and not perming with rods using a thio based product. By their nature hydroxides are inorganic, meaning they don't give off gas or have volatile compounds in them. This is why we feel they are safe to use during pregnancy, especially with our off scalp technique. Products containing thios' or other volatile compounds, on the other hand, we usually don't recommend at this time because they do give off gas. When relaxing your hair, you must avoid any overlapping of the chemical onto the previously relaxed hair. The previously relaxed hair doesn't need to be relaxed again. The relaxer must be applied to the new growth area alone, only this hair needs to be processed. By overlapping on the previously relaxed parts of your hair you are continually over processing these parts. This can lead to breakage. is copyright material and may not be redistributed in any way. when experiencing problems, have concerns or need personal recommendations for your hair.